All of the MEPN students participate in community service, but it sure is gratifying when students are recognized by an outside agency for going above and beyond the standard. 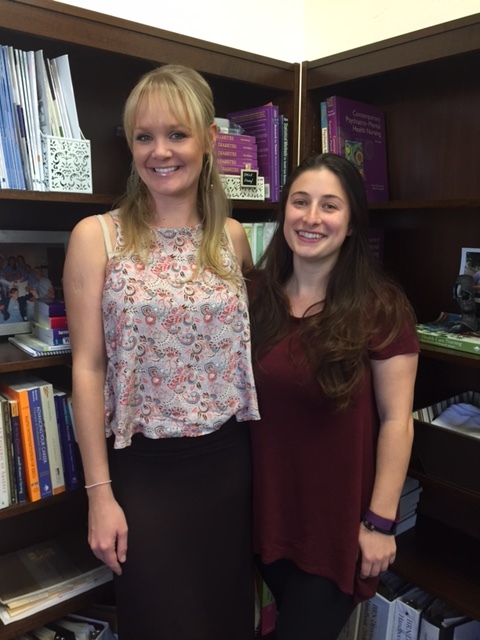 Soroptimist International of Vista, an organization whose mission is to improve the lives of women and girls, awarded Christina Dukovich and Sasha Lueke scholarships to be used towards completing their nursing education. The scholarships were awarded for the students personal contributions to community service while maintaining high academic standards. 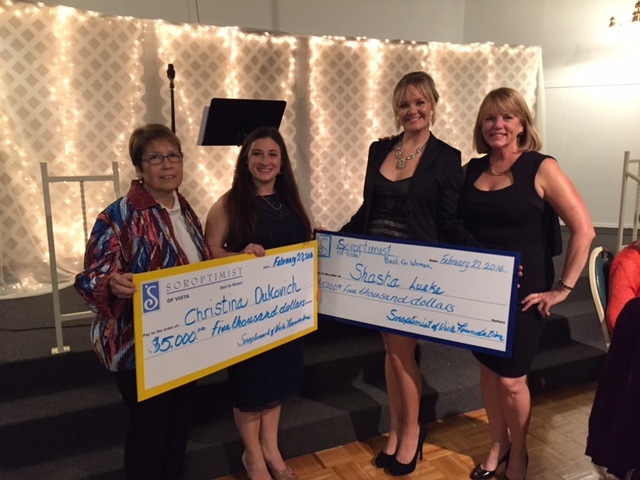 Each student received a check for $5000.00 at the Soroptimist Women’s Award Gala last evening at Palomar Estates. Family and friends along with Doctors Marsh and Urden were in attendance to celebrate their achievement! This entry was posted in 2014 Cohort info. and tagged Community Outreach, Faculty, MEPN class of 2016, Scholarships. Bookmark the permalink. So proud of the both of them, wonderful students.